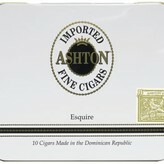 When crafting any Ashton, The Fuente family uses only the finest Dominican tobaccos available. That’s why no matter the size, each Ashton is perfectly delicious. 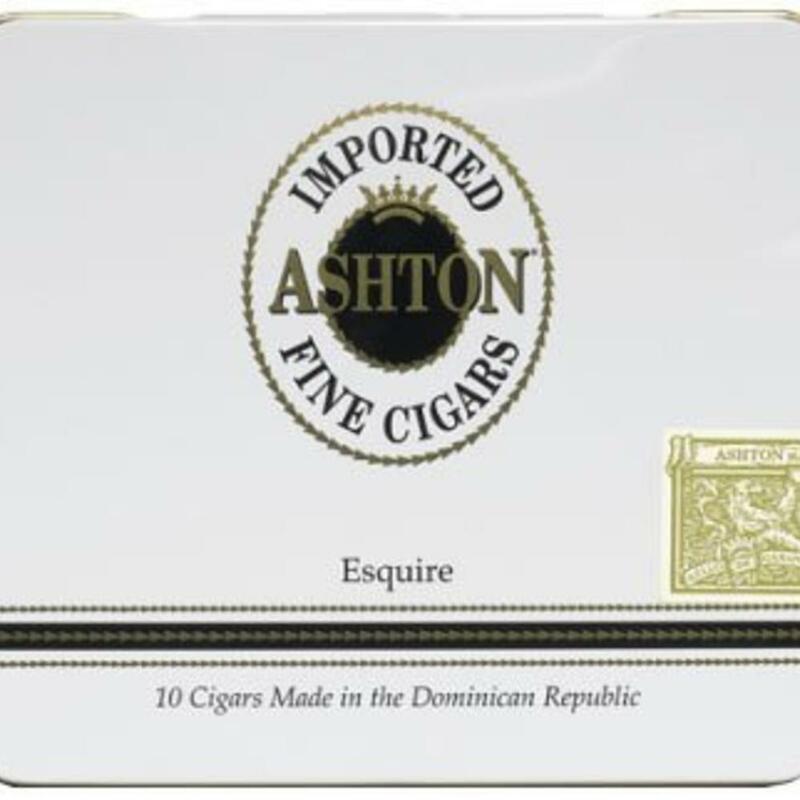 Even the Esquire, with its petite size, offers the same outstanding craftsmanship and smoking experience as the rest of the Ashton portfolio. Packaged 10 small cigars to a tin, pick some up online today at a great price from El Cigar! The Ashton Classic series of cigars is what propelled Ashton Cigars from an idea to a brand that has a number of quality cigars out on the market this very moment. The idea for Ashton cigars came from Robert Levin, a man who has spent a good portion of his working life running the family’s tobacco shop. However, putting together a cigar, let alone a quality one, is something difficult for most, so he turned to one of the largest names in cigars, Arturo Fuente, to make his Classic line a reality. Carlos Fuente Sr. did so with gusto, producing a fantastic cigar. The Ashton Classic line is made at the Fuente factory in the Dominican Republic, where it is, as the band of the cigar boasts, ‘made by hand’. The finest Dominican tobacco is selected for aging for three to five years, and that tobacco is then expertly trimmed, wrapped in a Connecticut Shade wrapper, and shipped out as the Ashton Classic line. The Esquire are cigarillos, but a little bit fatter than the usual cigarillo, coming in at 4.2 inches long with a ring gauge of 32, rather than the usual 4 inch length and ring gauge of 28. However, the flavor profile is still the same; creamy in texture, flavors of wood and cashew that vie for your attention throughout, and with a light and spicy aftertaste. The best thing about the Esquire is that you get that same great taste in a slightly larger cigarillo. While the usual cigarillo size is fine for a smoke break, the Esquire is a bit more substantial and long-lasting. This is more of a quick after-dinner cigar, for those who don’t want to smoke an entire cigar, but would still like a bit more flavor than you can get out of a usual cigarillo, and who refuse to smoke a cigarette. A good companion when time is short, and one you will never regret.